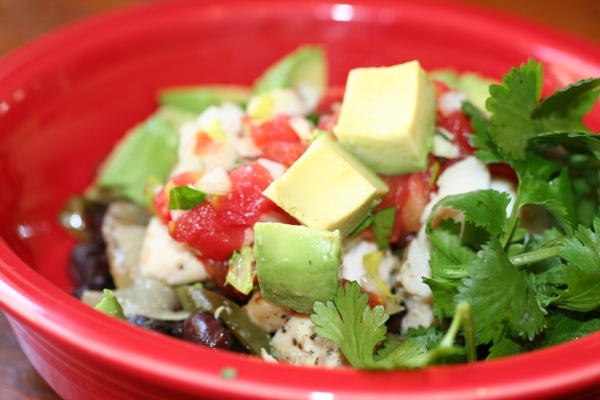 This recipe for Fajitas in a Bowl came out of us being out of tortillas and I needed a way to make it work without taking a trip to the store. Why hadn’t I thought of this sooner? This is now my preference over traditional fajitas in a flour tortilla. It is much lighter and flavorful, because you can pour the juices over the top and not worry about them dripping out the side or destroying the tortilla! You can change up the ingredients depending on your taste or the time of year. Fajitas in a Bowl is a perfect way to use up leftovers or when I batch cook peppers and onions. Just layer it all and add a little lime juice and you have an amazingly healthy and easy meal. To add a little crunch, I serve tortilla chips on the side, or you could even put it all over salad greens. It really is up to you and your tastes. 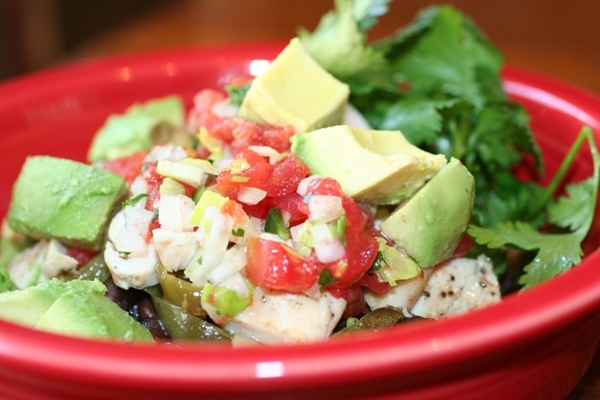 But…here is my version and how I like to cook my version of Fajitas in a Bowl. Use these recipes for the some of your ingredients above! Just checked and all I need to get is a couple of avocados. I’m making this tonight! Thanks for all the great recipes. Sometimes it get a little monotonous trying to think of something different, and we tend to wind up eating the same things over and over again. I look forward to your new ideas! This recipe sounds awesome!! I will try this later in the week…we cooked alot over the weekend so today I get off easy…snappy oven roasted old fashioned hot dogs with nice casing….I made pickled cukes, cole slaw, and white oven roasted corn on the cobb!! Easy does it tonight!! I am a fifty-seven year old Christian whose kids are mainly grown. But, I loved loved staying home with them when they were little.